Good for you for walking out with your dignity intact! I am so sick of medical professionals either disregarding my RSD as it effects other medical conditions and how they treat me or just being ignorant of RSD in general. I am just now coming out of about a 2mo nightmare with my gallbladder and almost the whole time medical professionals ignored/disregarded the fact that the gallbladder attacks and then later the surgery also affected my RSD pain. So, my pain, gallbladder and RSD has not been well controlled this whole time. I went in for my post op appt yesterday and I am telling the Dr how terrible I am doing, how much extra time my husband has had to take off work to take care of me, etc…. I felt like death warmed over at the appt and she even commented on how bad I looked. Then turns around and says “I think you are healing normally. You just need to not focus so much on the pain so much.” The day before my shrink and I spent the whole session talking about how I was going to ask for better pain management because he felt that I wasn’t getting good pain management and he knows I don’t ask for it due to being treated terribly in the past. When she said that to me, I was done. I knew what kind of Dr she was and I wasn’t going to get pain management for my post op pain from her. 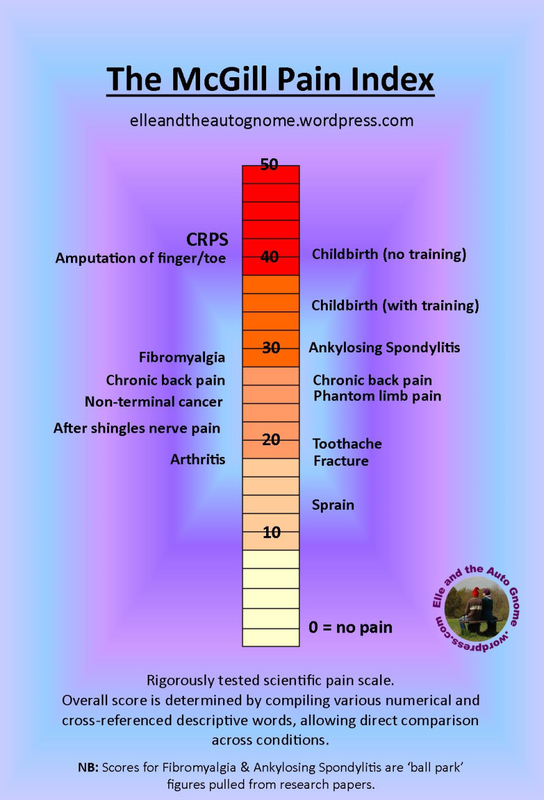 This is a spot on article.I have CRPS .I have had it for nearly 11 years.I had to live with off and on upper gastric pain for the past 5 years.It started with being nauseous frequently I have been in the ER twice for the pain.A kindly ER Dr. believed me and pushed my primary Dr. to send me to a GI Dr. .Turns out I have chronic gastritis with a polyp.May or may not be due to my CRPS.I get tired of all my symptoms being tried as not real or related to my chronic pain and being overweight. 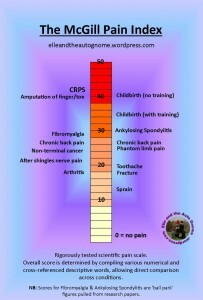 No one in the hospital closest to me knows anything about CRPS even though I beg them to do an inservice. There’s a FaceBook page that has a postcard you can print out that has a QR link right to a great science article on CRPS as a multi-system disease and spends a fair amount of time the gi system. If you like, you could look up the GPs, neuros, pain docs, etc., print it out on cardstock, and send it to them. It costs in postage, but it could pay off in care and interest. It creates buzz, as it’s a stunning visual, and the article is one of my absolute go-to favorites. But Go, YOU for not taking it! Wtf Is UP with a cold exam room in a GYN OFFICE?! EFF ME. My drs exam rooms are always on the toasty side – have to take coats off warm – because they want folks to not freeze! My last Dr, too – and they’re both GPs, no less. Last Pap I had I went to our local sexual health centre – roughly like your PPs. I’ve never needed to but first went when I was looking for a new Dr. Since they do pelvics and STI testing all day, they’re exceptionally good at them (staffed by Drs who want to be there due to interests in seeing the younger population that they mostly serve). Anyhoo, I briefly told the Dr about CRPS and she’d heard of it! Whoo! Then said was worried about stirrups, asked for ideas. We used my pants to fully pad the stirrup and she was very careful with me. Thankful. But me, the former every year, on time getter of exams hasn’t gone in too long, though they’ve now determined those with normal results for a few years can go every 3 years for their next exam. But now my hip/s are jacked,I’m having lower back and other not yet Dx’d issues – frankly I’m kinda scared. I can’t imagine having one done if my insides were… Dear gawds, NO. You are one hella strong warrior woman!!! Wish like hell you didn’t need to be.